I have been interested in art all my life but never produced a painting until after I retired. 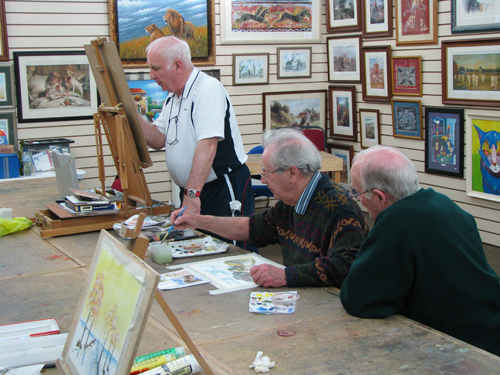 I then joined a local art group run by the lovely Harold Williams at the Lincolnshire Art Gallery in Spalding, everybody at our group /classes loves him he is a great artist who can produce wonderful art in any medium you care to name and in any style ie. impressionistic, realistic, cartoons, caricatures. 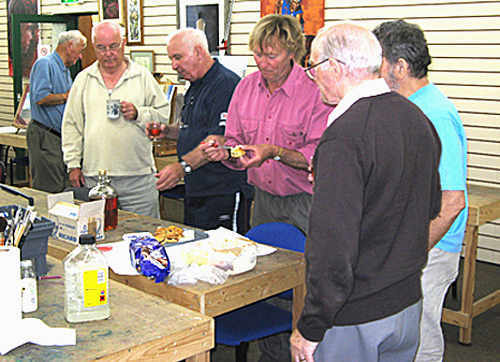 Yes it is the art group, but we seem to spend as much time eating and wine tasting as we do painting, no, sorry I will rephrase that, we spend more time eating and wine tasting (Tony's prize winning wines, and Richard's lovely wines) than we do painting, this is usually down to Helen who we take our lead from as to when it is elevenses and Trevor who brings in a cooker and does a stunning pumpkin soup right next to Harolds latest masterpiece. Not forgetting Richard's homemade bread pudding. So how does the group turn out such great art you might ask, well they do for a number of reasons, one, everyone there is talented, two, we enjoy the time together so much, and everybody helps each other with their particular area of expertise. 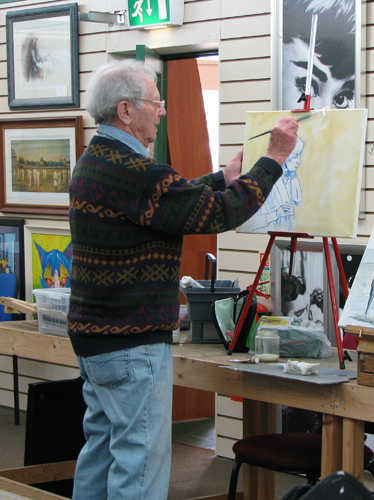 This is Trevor a retired head teacher, who has only been painting for couple of years now but is incredibly talented in watercolour and oils, portraits, boats, cartoons and anything you like, and a prolific painter. Here about to paint my niece Rebecca who kindly agreed to model for us at the group. 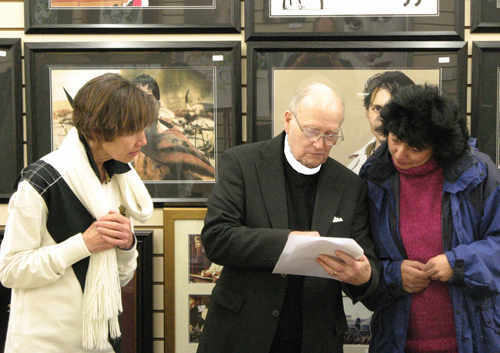 Here is Peter showing Helen and Sue the word of st Peter (Power). 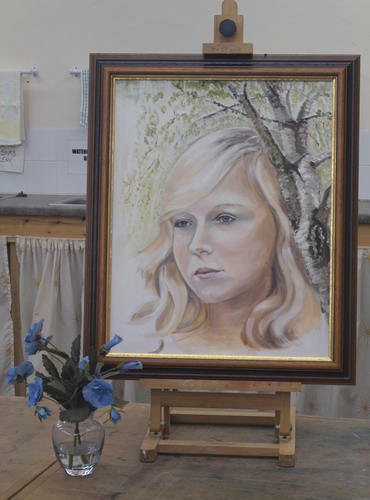 A typical example of Trevor's beautiful portraits, this is his Grandaughter. The lovely Helen posing for the group's weekly 10 minute life study. This is what they are studying. Hard at it, Mon 20th April 2009.